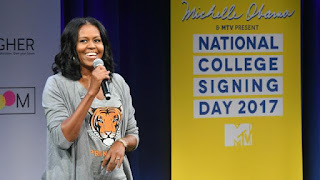 May 1 has been the center of conversation in the school counseling community this year, thanks in large part to Michelle Obama. 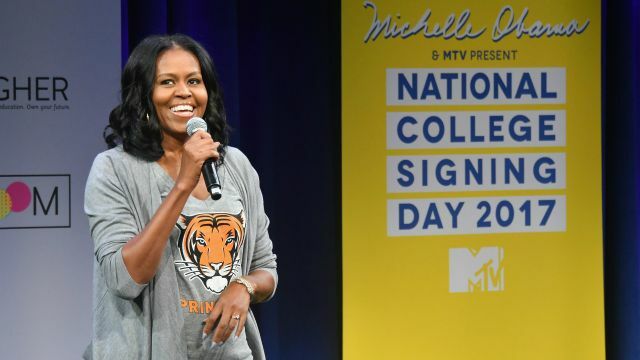 The former First Lady and founder of Reach Higher established May 1 as College Decision Day, a day for high schools to celebrate the decisions seniors are making about their lives after graduation. The idea came from the national signing days held for athletes when they announce what college they’re attending. Mrs. Obama’s reasoning is, and was—if it’s good enough for athletes, it’s good enough for everyone. May 1 was selected in part because it’s also the day many colleges require students to submit a deposit, letting the college know the student plans on attending college in the fall. This may seem like a simple idea, but it isn’t—or it’s too simple, and people want to make it harder than it is. Either way, let’s review. Do all colleges require students to deposit on May 1? No. Generally, the only colleges that do are those colleges receiving more applications than they can admit. This is one way to sort out who’s really coming, and it can give the college a chance to pull additional students from their waitlist if they need to, in order to fill their class. If I’m on College A’s waitlist, should I deposit at another college? Yes. 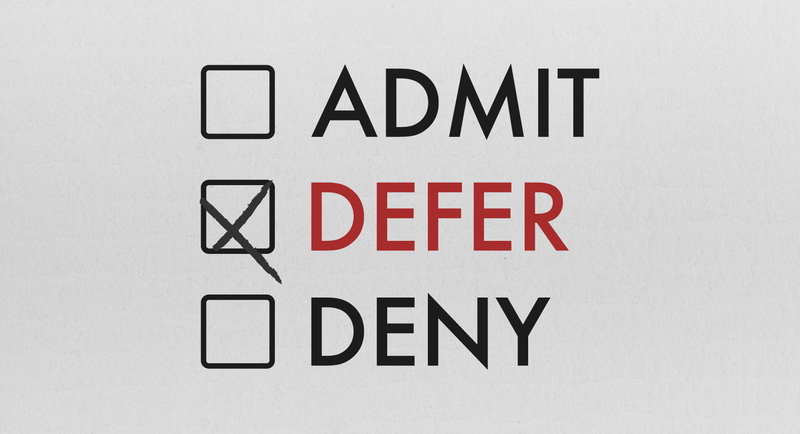 Colleges don’t usually admit students from their waitlist until after May 1. If that’s the case with College A, it may be May 5 or 6 before you find out they didn’t take you from their waitlist—and by then, it’s too late to deposit somewhere else. But what if College A does take me from their waitlist, and I deposited somewhere else? At that point, you can deposit at College A, as long as you call your other college right away and tell them you aren’t coming after all. You can also ask them for your deposit back, but it’s unlikely you’ll get it. Do all colleges require you to tell them you’re coming by May 1? Again, no. It’s always a good idea to tell a college once you’re sure you *aren’t* coming, but if you’re choosing among two or three colleges that don’t require a deposit or notification, you can take the whole summer before deciding. Can I deposit at more than one college? The real answer here is no. Colleges have to build budgets and schedules, and that takes time. If 100 students deposit at State U in May, then decide just not to show up the first day of school because they deposited somewhere else, State U loses a lot of money, and has to cancel more than a few classes—especially if State U is a small school. You might not care about that if you aren’t attending State U—but what if this exact same thing happened to your college, requiring them to close your dorm, cancel two of your classes, and offer no meals on Sundays? Two deposits is like asking two different people to the same prom. It isn’t illegal, but it is a horrible idea. I want to talk about College Decision Day. Why just celebrate the students going to college? The good news here is that most high schools include all seniors in their CDD celebration, honoring those going to college, entering the military, or heading into the world of work. If lots of seniors still have their future plans up in the air, some high schools will delay the celebration, putting it later in May, or building it into graduation. 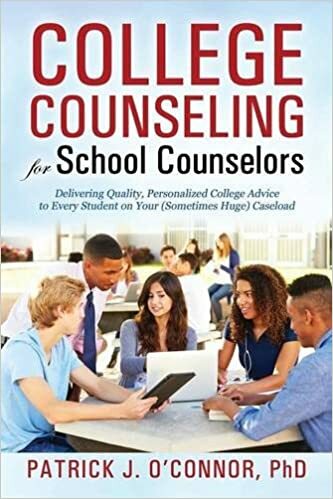 Last week, we talked about things students and counselors should keep in mind as we continue the march towards May 1, when most students will finish up their plans for attending college. We certainly didn’t mean to leave out parents—we just ran out of room! Here are the key roles, and key ways, parents can make the transition to college a smooth one. Call the financial aid office There’s been incredible media coverage in the last two weeks about financial aid offers—specifically, that many parents can’t read a financial aid offer, and if they can, they can’t compare financial aid offers, since no two are written the same way. I’m sorry to say this is absolutely true. Even parents of college seniors have a tough time sorting out what part of the offer is grants (and doesn’t have to be paid back) and which part is loan (which does.) If the parents who have been at this for four years still can’t make sense of these forms, what are newbie parents to do? Simple—call the financial aid office. Parents are scared to do this, because they think that if they say something wrong, they’ll lose their aid, or get their child kicked out of school. This won’t happen—in fact, while the folks in financial aid have a reputation for being about as warm as The Wizard of Oz, the truth is, they want to do everything they can to make sure students come to campus in the fall. Getting them to call is going to take some work, but it really can be more than worth it. Jump starting Mom and Dad to make that call is easier if you give them a head start. Tell them to call, and simply say, “We’re thrilled my child is coming to college in the fall, and I just want to make sure I understand the financial aid offer.” At that point, they tell the financial aid officer what they see, and ask them about the things they don’t know. The aid officer will do everything they can to make sure all parts of the package are clear. That’s their job. If this doesn’t convince the parents to call, this should. The moment a parent calls a financial aid office, the first thing—THE FIRST THING—the officer does is open the student’s file, to determine if the college has any new funding to offer the student. Other students have called the college to say they aren’t coming after all, and if those students had grant money, that grant money can now go to someone else. Most of the time, it tends to go to those who ask. This is free money, waiting for the asking. All you have to do is call. Just ask the parent who made a call, asked one question, and got an extra $10,000 in grants. Visit campus Once the financial picture is clearer, it would be great if Mom and Dad could invite their student to take another tour of campus. This isn’t always possible, but it can go a long way to make everyone more confident about the student’s college choice—and that’s never a bad thing. You don’t have to take the official tour, but if you haven’t, it’s not a bad idea. If they have an admitted students program, that’s a great way to get to know the other families who will be part of the college community. But even an informal visit can go a long way to reinforce the idea, this is really happening. And that’s pretty great. * Most selective colleges are reporting a huge increase in the number of applications. * ....and wait-listing more students. This increase means fewer students will be admitted from the wait list come May—and if they are admitted, financial aid will be scarce. No, this is not the high score on some new version of the SAT. 850 is the number of valedictorians recently rejected from one of America’s most prestigious colleges. These students represented the best in their high schools; they did everything they were “supposed” to do—and yet, they didn’t even get to the wait list. It certainly had to be hard for those students to be turned down by a school they loved—but did all of that preparation really lead to nothing? Given everything these students had learned, the many ways they had grown, and how they overcame adversity and embraced creativity in making Plans B, C, and Q, did they really get nothing out of it? If so, they have every right to be unhappy, but not with the college. They should be unhappy for letting the sun rise and set 1307 times from the first day of 9th grade to the day the college said no, never once appreciating all that each of those days had to offer in and of themselves. They should hang their heads a little to realize, just now, the difference they’ve made to their classmates, their teammates, and the people they served in the soup kitchen. And if they look back with a little regret on the many times they blew off a compliment from a parent or a teacher, that’s more than OK. They now know it was at that moment that the goal of fully living each day was conquered with a flourish. Understanding that will make each day all the richer at the wonderful college that admitted them. This leads to point 2, about the student you’re talking to, and their application. Colleges are looking for great students who have done wonderful things with their lives, and will work nicely with the other students that are coming to campus. That blend goes beyond test scores and class rank—it goes to who the student is, what they care about, and how they see the world. The thing to focus on then is not who told them no, but who told them yes. If a college wants them but runs out of room, that’s the college’s fault; if the college doesn’t see the student for who they really are, well, maybe that’s not the place for them after all. Either way, the student’s contributions will be greatly admired, and badly needed, by the college that has the good sense to tell them yes—which means any no, from any college, simply cannot touch them. the Ivy League schools, this week gets a lot of attention from the press and parents, which can lead to a rise in the anxiety levels of most students. Every college you applied to is a first choice You may have ended up liking one college more than the others you applied to, but that doesn’t make the others a second choice. You did your research, liked what you saw, and know you can do great things at all of them. As long as some of them said yes, you have the privilege—the privilege—of choosing among great options. You can keep looking More than a few students get to April and feel the need to start over. The National Association for College Counseling has a College Opening Update will be up soon—most likely early May—so you can see what colleges are still officially taking students. If you can’t wait that long, call the college and ask. Cast the net far and wide You won’t have to look hard for the students who are elated with their college choices—they’re the ones wearing the Exact. Same. College. Swag. Every day from now until graduation. The harder search are the students who aren’t happy with their choices who have given up on themselves, who think bothering to ask for help is pointless. Alert your teachers and administrators to look out for seniors who have a sudden change in temperament, either more quiet or more outgoing than usual. Chances are, something’s up with them. Get ready to work the numbers This week’s joy will become mightily muted for some of your students, as they eventually get past the first page of the acceptance letter, and peek at the financial aid offerings for the first time. Aid offers are hard to read, and some families just won’t call financial aid offices no matter what. Be ready to check in with the students who are likely aid candidates, and get ready to make some calls. It’s best if Mom and Dad do it, but they’ll probably need help. Avoid the trap of May 1 There’s a movement underway to celebrate the college achievements of all high school seniors on May 1, the day many colleges ask students to send in an enrollment deposit to one—and only one—college. There’s nothing like a good celebration, but May 1 isn’t the end of the college search season for many, many, MANY students—especially students attending community colleges or public universities, or students whose financial aid packages are still up in the air. If you have lots of students who fill this bill, consider moving the celebration to later in the month, or build it in as part of graduation. The goal is to celebrate everyone, and May 1 may be too soon to do that. My brother was a pretty mean clarinet player in high school. He had a good ear for pitch, and a great sense of rhythm, and while he didn’t devote excessive hours to practicing, it was clear he knew his stuff. That’s why we were pretty confident he was headed for a first place rating when the state music festival came along that February. We got up incredibly early on a Saturday morning, and headed across town to a community college with pretty bad signage. We finally found the room where he was to perform—he was the third person to play that morning—and he had plenty of time to warm up, then play the piece to perfection, like he had a million times before. The twenty minute wait for his score was agony, in part because we hadn’t had breakfast, but it was nothing compare to the feeling in our gut when the score sheet indicated he earned a second place rating. We then had one of the quietest breakfasts ever at a local restaurant. 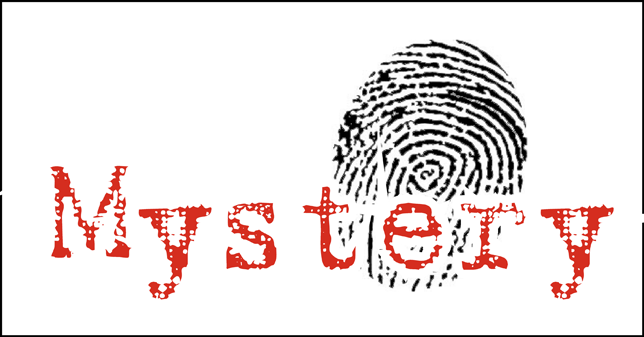 There wasn’t really a state of mourning, as much as there was a state of confusion. What exactly was missing from his performance that kept him from a top rating? This isn’t exactly the news you want to hear when you’re a high school musician. To be sure, my brother didn’t let it get him down. He went on to study music at college, and had a promising side career as a musician for many years. Still, it’s hard enough to get through high school without having to sort out the mysteries of adulthood, especially when the adults in your life can’t really explain why things like this happen, either. A number of students are about to experience this same feeling in the next couple of weeks, and they don’t even play the clarinet. College admissions experts are expecting record levels of applications at the most popular schools, and since these schools aren’t admitting more students than they did last year, that means they’ll be saying no to more students than ever before. This can be frustrating to students for a number of reasons. For starters, it’s likely that a ton of students who will get “no” for an answer from the college of their dreams would have been admitted ten years ago, when fewer students were applying to fewer colleges. A- students may have been good enough for students back then, but now that there are more A students applying, things have changed, even if the A- students can do the work. On top of that, students will be left wondering what they did—or didn’t do—that kept them from being admitted. This kind of thinking is pretty hard on a student, since there is rarely a clear, single reason why a college denies a student with great grades and great scores, who did everything short of cure cancer in their spare time. The reality is that a handful of schools are blessed with the best of the best as their applicants, so they can be a little fussier when offering admission—but even then, they can’t always tell you why they told others no. That isn’t easy for adults or students to understand, but the best thing to do is adjust your reed, and keep on playing.